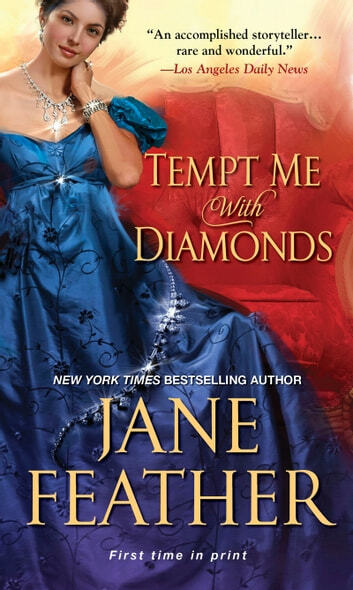 **Three friends who met at an elite English boarding school take on the town—and the ton—one by one, in this sparkling new series about love, loss, and lustrous gemstones, from New York Times bestselling author Jane Feather . . .
After Lady Diana Somerville's brother,Jem dies in the Boer Wars, she comes back to England from South Africa. When she arrives at the house in London, there is already someone in the house. Rupert Lacey was betrothed to Diana at one time but it was broken off. He was with her brother when he was killed in South Africa. After seeing the solicitor, she realizes that her brother left his part of the inheritance to his friend Rupert who was in the war with Jem. The house, diamond mines, money and a racing horse are all to be divided. Since Diana and Rupert cannot live in the house together, they tell everyone that they are married. It is hard for them both as there are secrets about Jem's death keeping them apart. Will love be enough and what about the woman that Rupert had an interest in? Both need to have the last word. can they make this work. I loved this book. I remember reading about the Boer Wars and the history of the diamond mines. loved the story line and the ending as well as the rest of the book. I received this book from Net Galley and Kensington Books for a honest review and no compensation otherwise. Interesting concept and well written as usual from these, but the main characters were self absorbed and petty. I was disappointed but just couldn't like these characters. 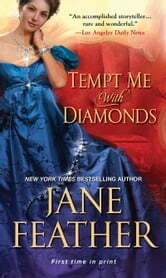 Very enjoyable romance with strong characters and some intrigue.